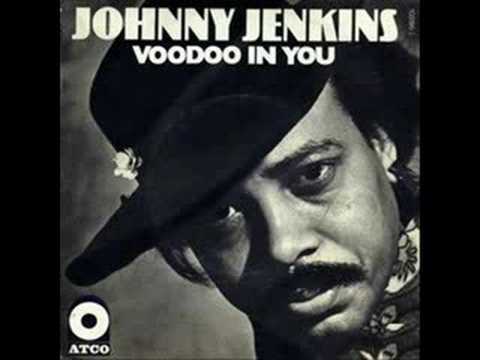 Johnny "Guitar" Jenkins was born in 1939 in the Swift Creek area of East Macon. Johnny was a huge influence on Otis Redding, who sang back up in his band Johnny Jenkins and the Pinetoppers, Twiggs Lyndon, who managed Johnny for a while, Jimi Hendrix, who stole "all" of his flamboyant moves from Johnny, and the Walden brothers, Phil especially. It was at a "busted" Johnny Jenkins recording session at Stax Records in Memphis, TN that Otis recorded "These Arms of Mine," launching a symbiotic relationship between Otis and Stax Records that would last the entirety of Otis' career. Rock Candy Tours turns FIVE YEARS OLD!! When they first started, the tours were a little rough around the edges but they have grown into a real tourism draw for our beautiful city and have loved sharing Macon's amazing music history with those willing to listen. A special thanks to RCT's stellar tour guides, Ruth Sykes and Rex Dooley for being Macon's best guides and all of the supporters, fans and friends. Known as “The Church of Rock of Roll,” the Fillmore East opened its doors in New York’s East Village 45 years ago on March 8, 1968. For the next three years, the 3,600-seat theater built in 1926 would host the cream of rock royalty. The ABB performed at Fillmore East in 1971 and the recording was released as a live album “Live at Filmore East." Born in Macon, Rosa King was an American jazz and blues saxophonist/singer who made her fame in Amsterdam and recorded many albums under a variety of labels. Her professional career found her playing with everyone from Ben E. King and Cab Calloway to Eric Burdon and Sly Hampton. Stealing the show at the 1978 North Sea Jazz Festival during a tenor sax battle with the likes of Stan Getz did much to catapult her into stardom. She has appeared in Sesame Street and various European television shows, as well as the cult film Comeback by Eric Burdon. Known as the most famous “roadie” on the planet, Joseph “Red Dog” Campbell, was the "hard working, hard tripping, hard loving road crew legend" that was with the Allman Brothers since the glory days of Duane Allman and Berry Oakley. Cameron Crowe, long time writer for Rolling Stone and the producer of the motion picture film Almost Famous, a movie that draws heavily upon the real life adventures of The Allman Brothers Band, actually wrote Red Dog into his movie by name. Campbell later shared his stories of the road in his book “The Legendary Red Dog: a Book of Tails." Campbell passed away in Macon in 2011 after a long battle with cancer.